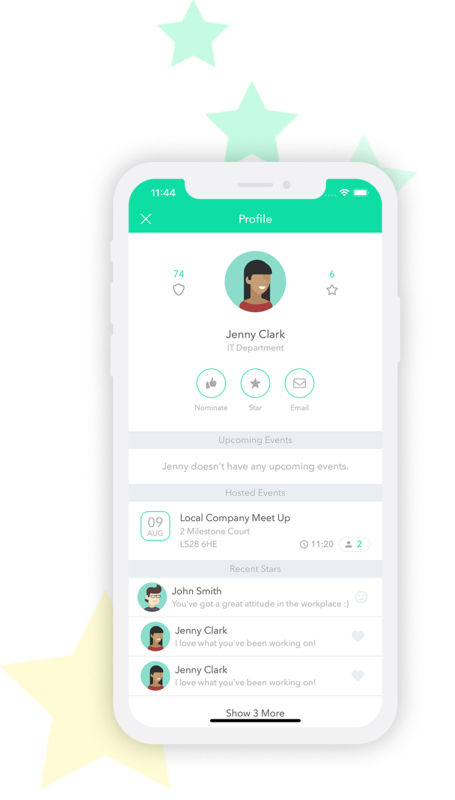 Nomify engages you to do better, have more fun and celebrate the achievements of your fellow colleagues. Send stars, book holidays and stay informed of news and events. Recognise your fellow colleagues for doing great things, weather it be helping you out on a project or simply for being amazing. Send a private message along with your star to personalise your recognition. 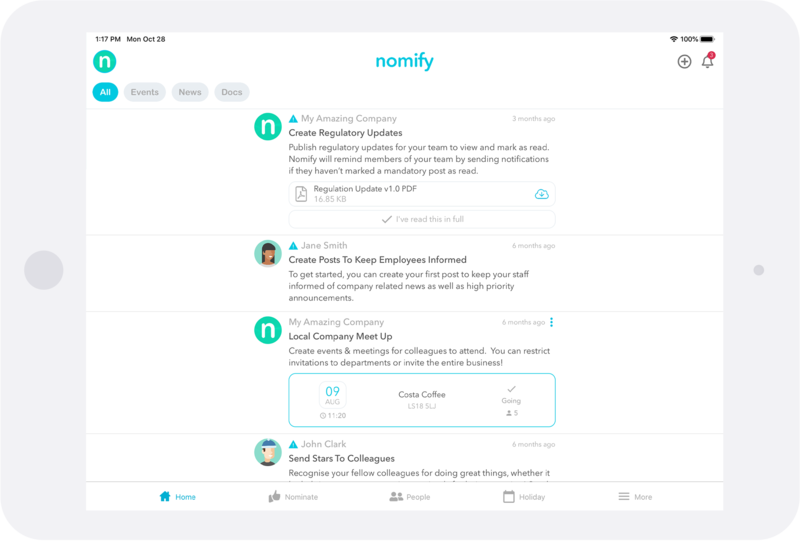 If you hold an annual employee award event, you can use Nomify to collect nominations. Simply customise your Award scheme and set an open and closure dates to get the ball rolling. 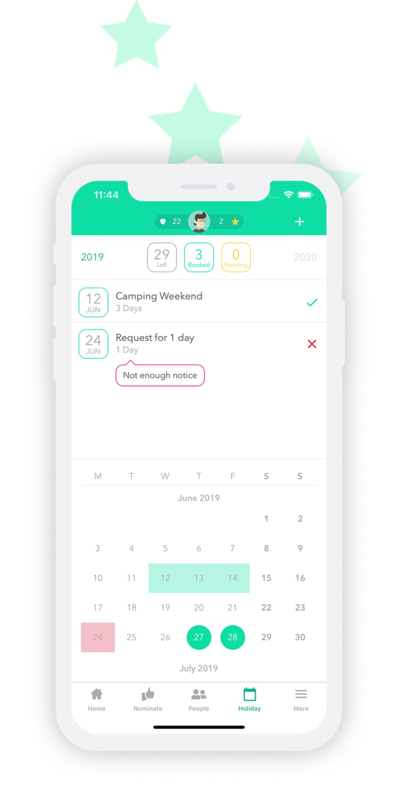 Nomify lets you manage all your holidays in one place, from submitting new holiday requests to cancelling holidays. Use the calendar view to keep track of your holidays and view allowances and the news feed to view up and coming holidays for your fellow colleagues. If you're a business owner or manager, you can approve and reject your staffs holidays either online or via the app. You'll receive notifications when a staff member makes a request, so no more paper work or email. Host events on behalf of your company or your self, wether it be a meet up for drinks after work, a morning meeting or a company event. Manage and change your event on the fly & see who's attending. 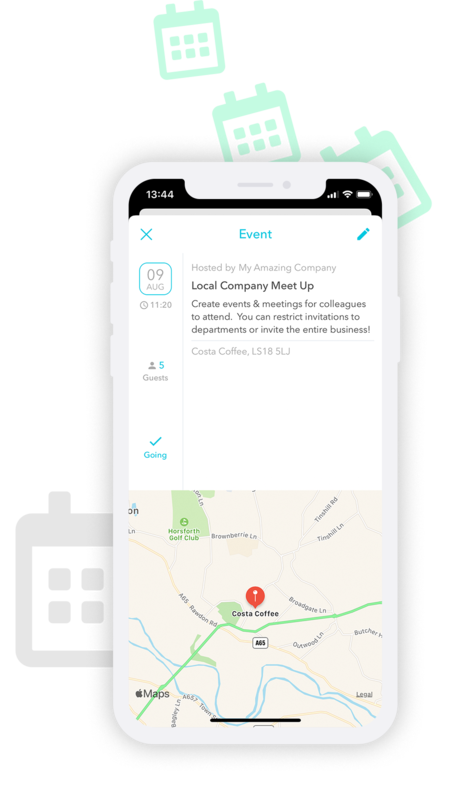 Colleagues can notify you if they're attending by one simple click. Find your colleagues and their contact details easily via a searchable directory. Make calls or send emails directly from the app, keeping your work contacts completely separate from your private phone contacts. Every time you send or receive a star, or a nomination, you'll earn points. Points can later be redeemed for vouchers and discounts, if your company operates a reward programme.